The largest of the seven Canary Islands, Tenerife sits in the Atlantic Ocean just off the coast of North Africa and enjoys eternal sunshine – one of the reasons that makes this beautiful island such a hotspot for millions of tourists every year. Tenerife is famous for both its stunning coastline and beaches, and its nightlife, with many of Tenerife’s most popular night clubs based around the numerous resorts, including the capital city, Santa Cruz de Tenerife, located on the island’s northeastern coastline. 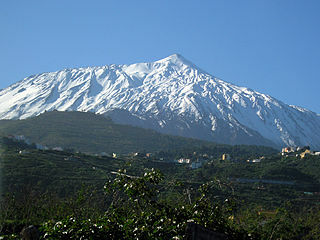 Tenerife is dominated by a rocky back bone of mountains which culminate with the volcanic summit of El Teide which at 3, 718 M is the highest mountain in Spanish territory. Tenerife has one of the best climates in the world, maintaining a pleasant average daytime temperature of 22°C for most of the winter and increasing to up to 30°C in the summer.